1. What will Sun Screens do for you? In the Phoenix Metroplex, both SRP and APS have recognized that windows are the number one source of heat gain in the summer and responsible for as much as 48% of the cooling costs of your home. The most effective way of preventing this heat gain is by shading the sun before it heats the glass. Interior blinds, drapes and window film (tint) all block the sun after the heat has penetrated and heated the window glass, so the heat radiates into the home. Exterior sun screens can block up to 90% of the sun’s energy before it heats your windows, dramatically reducing the heat in your home and the load on your air conditioner. • Reflection – this indicates how much of the sun’s energy is “reflected” away from the window glass. It is usually expressed as a percentage of the total sun’s energy. • Absorption – this indicates how much of the sun’s energy is “absorbed” and held by the product. It, too, is usually expressed as a percentage of the total sun’s energy. • Transmission – this indicates how much of the sun’s energy is actually “transmitted” through the product to the window glass or into the home. It, also, is usually expressed as a percentage of the total sun’s energy. 3. What is Solar Heat Gain? Solar Heat Gain refers to the increase in temperature in a structure that results from solar radiation. The amount of solar gain increases with the strength of the sun, and decreases with the ability of any intervening material to resist the radiation. The image below demonstrates only one (1) intervening material – glass. When you add solar screens (sun screens), you now have 2 levels of resistance. First, there is a Solar Screen that reflects, absorbs and then transmits to the window glass. Next, there is the window glass that takes what is transmitted through the Solar Screen and reflects, absorbs and then transmits into the home. Both are intervening materials that reduce the Solar Heat Gain of the home. Both reflect and absorb some solar heat and then transmits the remainder further toward or into the home. This comparison shows the results of the sun’s rays striking the Solar Screen material at various angles. The “Transmittance” percentage is the key. That is the amount of the sun’s energy that gets to the window glass, where the glass also reflects and absorbs, and allows an even lesser degree of the energy to enter the home. Accent Screens has used Textilene© screen material almost exclusively since the beginning of our business in 2004. • Air Flow – With the tighter weave, the 90% screen restricts the air flow through the screen significantly. • Visibility – The tighter weave reduces the visibility through the screen, inside looking out slightly but outside looking in significantly. If privacy is a primary concern, give strong consideration to the 90%. • Natural Light – With both types of screens, you can open your blinds or drapery and let the natural light in without it bringing the heat with it. The 90% restricts the amount of natural light entering the home and makes looking out seem like a cloudy day every day. • Cost – The 90% material costs more to purchase so of course, the 90% screens will cost more to the customer than the 80%. 6. What are the two different types of installation for Solar Screens? While the type of window, the type of structure exterior and the condition of stucco may require minor changes, there are two basic types of screen installation – screws into the window frame and screws outside the window frame. Normally, these screens are constructed so that a single screen covers the entire window, including the window frame. The installer uses screws with “barrel clips” but the screws so not touch the window frame so that the window frame itself is not compromised. This is the type of installation that will not void a window warranty. Normally, these screens are made as sectional screens. That is, each section of the window has a separate screen. Some contractors may build single piece screens for windows and still install them with screws into the window frame. These screens are generally made to cover only the glass or slightly more than just the glass but they must leave some of the window frame exposed for the screws. The installer uses screws with “barrel clips” and drive the screws into the window frame to anchor the screens to the window. Accent Screens has been using the “screws outside the window frame” type of installation since its inception in 2004. They also insert basic “grid” (aluminum bars similar to and the same color as the frame) wherever there are window sections are to give the screens the same “look” as the window. 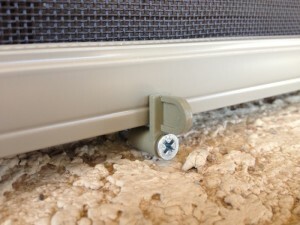 Even when sectional screens are required, Accent Screens has developed a technique that still eliminates putting screws into the window frame. 7. Will screws in the window frame affect your window warranties? Based on telephone conversations with representatives of major window manufacturers, putting screws into the window frame will void a window warranty. It is considered as “misuse after the construction process”. Conversely, putting screws outside the window frame will NOT void a window warranty. If you have a concern, call your window manufacturer, explain the different types of Solar Screen (sunscreen) installation and have them give you a decision. Accent Screens discusses this with every potential customer and advises them to contact their window manufacturer and verify it. 8. Why is a one-piece window screen better than sectional window screen? It is the solar screen material that does all of the work. More solar screen material equals less heat transfer into the home through the windows. A one-piece screen for a window covers ALL of the glass and the center frames of your window with the solar screen material while sectional screens put two inches of metal frame (the sides of each sectional) wherever there is a separation of glass. A one-piece screen uses more solar screen material and thereby gives more protection from the heat than the extra frame from sectional screens. Also, sectional screen installation REQUIRES screws into the window frame and VOIDS the manufacturer window warranty. 9. Why are some screens installed with the spline out? When screens are built, the back of the frame has a channel for the “spline”. With the screen upside down, the material is stretched over the entire frame, including the channel, and a round rubber “spline” is placed over the material covering the channel. The “spline” is forced into the channel and anchors the material to the frame. This is all on the back of the screen frame. Since the screen material absorbs and holds the sun’s energy and heats up significantly, if the material lays “on” the glass, it will heat up the glass as though the screen was not there. That excessive heat could cause the glass to crack and it will definitely destroy the effectiveness of double-paned glass. It is our understanding that damage caused like this will not be covered by a window warranty. In many cases, to create a space between the screen material and the window glass, it is necessary to install the screen with the “spline out”. The screen frame is 1/4” thick, so by installing the screen with the “spline out” (the back of the screen facing outward), the space between the screen material and the window glass is created. Accent Screens has eliminated this problem entirely by putting a strip of closed-cell foam insulation on the back of the screen frame. Using the “outside the frame” installation technique, this foam creates the necessary space between the screen material and the window glass. This way the decorative front side of the screen frame is always facing outward. 10. 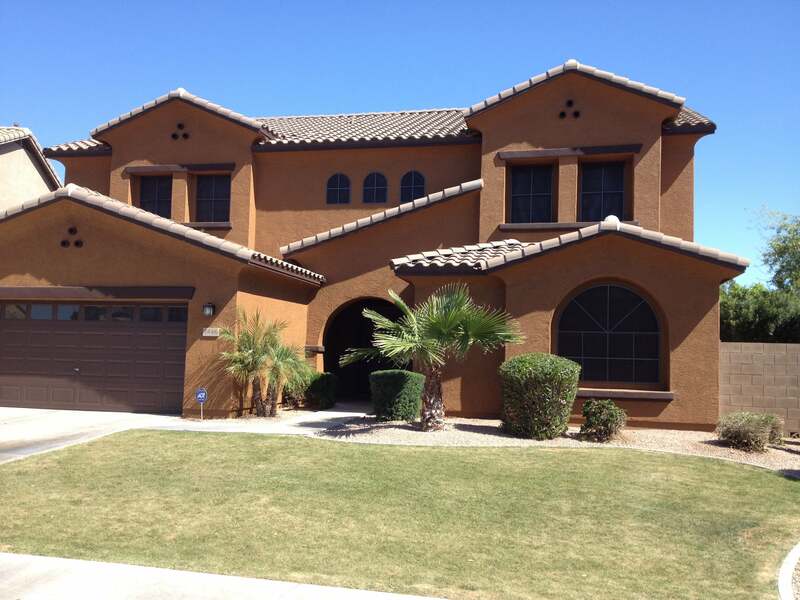 Is your contractor licensed by the Arizona Registrar of Contractors? The Arizona Registrar of Contractors issues licenses to qualified contractors in a great many construction trades and specialties. They have various requirements of testing and experience that are required to be licensed. A “Handyman Exemption” is allowed as long as the total contract, including installation, does not exceed $1.000.00 and there is no experience required to call yourself a “handyman”. The Arizona Registrar of Contractors also provides a fallback position if a homeowner feels the contractor did not do the job properly. The ROC will intervene with the contractor on behalf of the homeowner and make sure a complaint is addressed. They also have a Recovery Fund that can reimburse the homeowner if the contractor causes damages or fails to properly complete the project. You should always check with the Arizona Registrar of Contractors to be absolutely sure your contractor is licensed and its license is in good standing. The sun screen rebate available through SRP requires the work to be done by a licensed contractor. 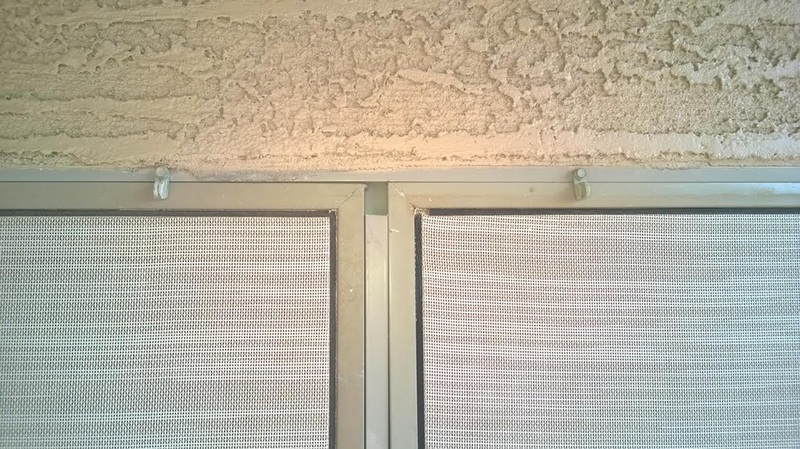 Accent Screens is licensed by the Arizona Registrar of Contractors for both residential and commercial window and door covering installations.